In 2017, Mexico City will have its own constitution for the first time—the next step in a process that will make the city more autonomous and function like a federal state of Mexico. Beyond highlighting residents’ cherished rights and freedoms, the new constitution will touch on the importance of land value capture. As a result, land value capture has entered the public sphere, even mass media—a very uncommon place for urban development discussions. Unfortunately, many large, misinformed arguments, such as “the end of private property” or “the first step toward becoming Cuba or USSR during the peak days of communism,” have overwhelmed the conversation. Contrary to popular belief, land value capture does not seek to eliminate private property, impose a new tax or steal anybody’s property; It seeks to recover, and give back to the city, part of the revenue from public investment in urban services and equipment, which is currently retained by private individuals. Mexico City’s Draft Constitution discusses land value capture from “urban infrastructure, public space, changes in land use and building intensity,” understanding that the increase in land values of housing and commerce, due to public investment, would have to be part of the wealth of the city. These actions have a direct impact on the market value of real estate not because of private intervention, but because of actions taken by public actors who represent the whole of society. How Does Land Value Increase? Imagine a neighborhood in the city where the government invests—with public money—in the construction of neighborhood infrastructure, equipment or public space. This could take form in constructing a new Metrobus or Metro line, rehabilitating the neighborhood market or creating a new public square. Imagine, on the other hand, that a plot of land is modified from residential housing to commercial space, or it is authorized to have a greater construction potential. The homes, businesses or offices benefiting from these actions will increase their market values from public expenditure, without their owners having made any investment. Of course, at the same time, the owner can make improvements to the property to increase its market value. These actions, however, cannot be attributed to the whole of society, but merely to the effort of the individual, therefore the profits cannot be subject to any recovery process. In Mexico City, however, large real estate speculators “capture” the land value. They typically buy cheap land and wait, or push, for a regulation change or for the development of public infrastructure in order to build their houses, offices or commercial spaces and sell the property for a much higher price. They do all of this without paying the city back for the extra value derived from these changes. In this case, why does the benefit of something built with public taxes get to be enjoyed by only a few property developers? The land value add would solely impact the wealthy, real estate spectators; The low-income and middle-class owners and tenants, who are the great majority, would not benefit from this value add. Land value capture usually applies only in two instances: when there is a purchase and when the owner takes advantage of a land-use change or the increased building intensity. As long as this does not happen, land value capture will not affect city residents. Therefore, recovering the land value generated for society as a whole is an important mechanism toward creating more equitable cities. If we promote land value capture—which, ultimately, is a partial recovery of what we all contribute—it would be possible to invest in additional projects, financing neighborhood infrastructure, quality public spaces and urban services—a virtuous circle that would benefit all. Colombia, Brazil, England, the U.S. and France all use land value capture in some way. It is even being contemplated in the legislatures of seven Mexican states and mentioned in the new Mexican General Law of Human Settlements, Territorial Ordering and Urban Development. 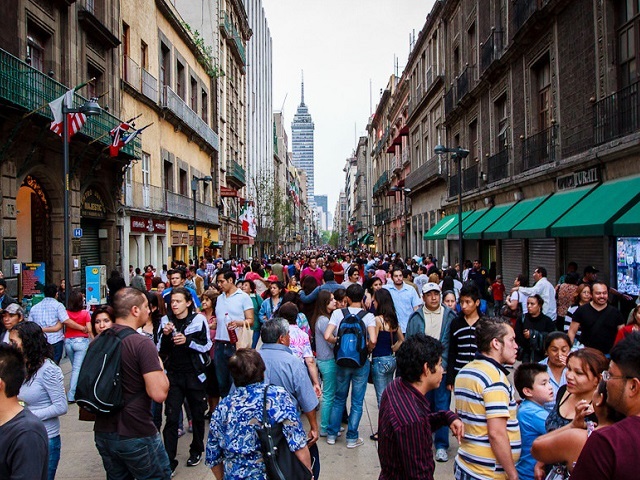 Furthermore, land value is also one of the principles that the Mexican government pledged to support as part of the New Urban Agenda, which came out of Habitat III. Land value capture presents an opportunity to limit real estate speculation without affecting housing production or the construction association, promotes affordable housing for the entire population, consolidates the built environment and reduces incentives for uncontrolled expansion. It is an opportunity to create an efficient and equitable urban development model: the opportunity to recover the city for all.